The rigidity with which extremists on the left and the right cling to their views can lead to animosity and acts of violence as they try to preserve their points of view. What can be done to minimize the "you're wrong/I'm right" conflicts? R. E. Markham maintains that the solution is not to create some new religious or political ideology consisting of elaborate beliefs and rituals. Instead, he argues that we need a deep perspective, inaccessible to sense and intellect, that acknowledges a fathomless and wordless dimension of reality. Awareness of such a perspective casts our human meanderings and struggles into relief. A long-time professor of interdisciplinary studies at Massachusetts College of Liberal Arts, R.E. 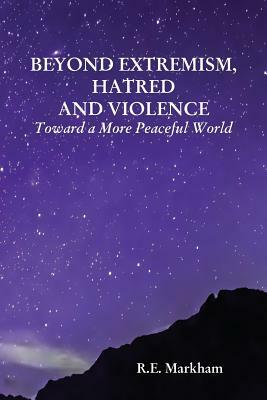 Markham's eclectic background includes studies in political science, sociology, philosophy, general semantics, Zen Buddhism, developmental psychology, and the theologies of Paul Tillich, Nikolai Berdyaev, and Thomas Merton. Books by Marcus Borg, Karen Armstrong, Elaine Pagels, and others proposing new interpretations of Christianity have also been influential.